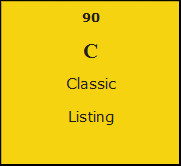 The Classic is a free listing. Considered to be an entry level listings for businesses, it displays the basic listings. There are two ways to appear in the Classic listing, business owners can either enter their company details, or if their listing is already there, they can click on “Claim your business”. Fields which available for the classic are : name of your business, address and “telephone/fax, you will moreover be able to get use the Yellow Mail system. You will be entitled to 1 main category, 1 sub category with 1 keyword and 1 sub sub category with 3 keywords. The Classic package allows a business to have some visibility, it can however be upgraded to other packages that have enhanced features.